Student engagement and academic achievement. Many schools have taken steps to encourage growth in these areas for the general student population. Such initiatives often include family and curriculum nights, field trips, volunteer opportunities, class newsletters and weekly messages from administration. I began my work as an ESL educator in a public elementary school where these traditional outreach initiatives were in place, with overall positive results for the general school population. However, I still saw many teachers and school leaders who perceived English Language Learners (ELLs) and their families to be “uninvolved’ or “disinterested” in school. Research has long showed that increased family presence and involvement at school leads to academic growth and more positive attitudes toward education for students. Most educators know this, but not all families can become fully engaged in their school community using traditional outreach methods alone. The growing population of English Language Learners in public schools presents a unique set of needs and strengths that educators must address. ELLs and their families require strong advocacy schools to foster truly inclusive and supportive educational environments for all students. At my school, we began a targeted effort to advocate for ELL students on multiple levels, and saw positive results almost immediately. We advocated for our students in the classroom, with the support of our school leadership and through our community. At my school, we began a targeted effort to advocate for ELL students on multiple levels, and saw positive results almost immediately. Supporting students from diverse language backgrounds begins in the classroom. On a very basic level, teachers must make use of interpretation and translation services available to ensure that all families have equal access to information. This alone, however, does not amount to advocacy. 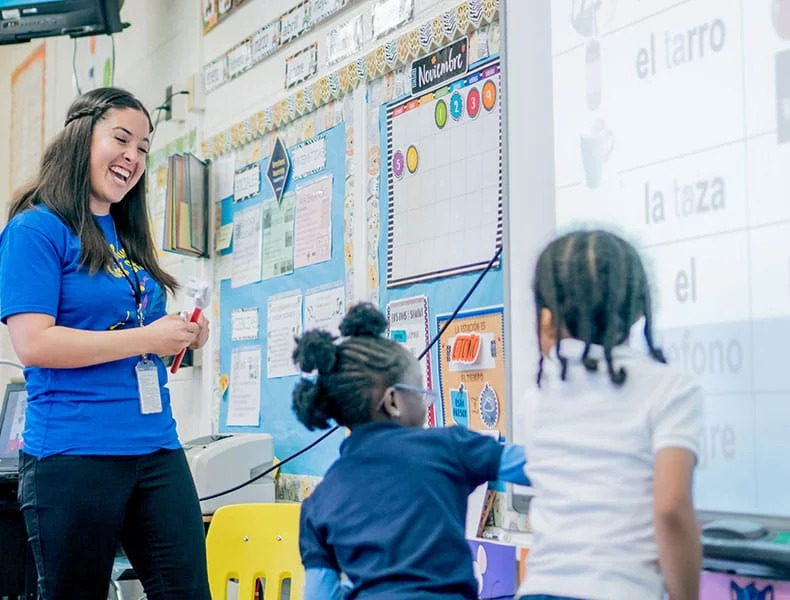 To truly advocate for ELL students, educators must incorporate Culturally Responsive Teaching into their daily practice. Students should see themselves and their cultures reflected in classroom lessons and activities. When students feel that their own experiences are valued, their self-confidence and achievements can increase as a result. As a result, our students felt pride in their backgrounds and languages, encouraging higher participation rates and language growth. This can be accomplished more simply than many teachers realize. At my school, for example, we prioritized the availability of books and focus texts that included characters who had culture, experiences and backgrounds similar to our ELL students. As a result, our students felt pride in their backgrounds and languages, encouraging higher participation rates and language growth. The general student population received more globally focused instruction that led to greater understanding of their peers. All actions taken to promote a culturally responsive environment within classrooms must be supported and promoted by school leadership. With higher-level supports in place, a school environment that truly values all its diverse populations can take shape. Small steps taken by principals and office staff create positive impact on the school culture. For example, administration should enable teachers to collaborate by designing a school schedule that allows co-planning. With proper planning, instruction can be aligned for ELLs and other students who may participate in small group work outside the grade-level classroom, promoting higher levels of academic achievement. Leadership must also model proper methods of outreach through school-wide communications that are available in multiple languages if needed, stressing the importance of inclusion. Perhaps the most important component of advocating for English language learners is facilitating community involvement and empowerment. While crucial, this component is often missing from otherwise inclusive school environments. In my school, difficulties with community engagement and outreach with ELL families was the result of a mutual sense of discomfort. While rooted in language difference, this hesitance to interact and truly engage ran much deeper. Without the ability to communicate with the school in English, many families wondered: how could they contribute? Without understanding the cultures and values of language-learning families, teachers and school leaders wondered, how could they reach out and include them in a meaningful way?The answer for us, it turned out, was quite simple: put the families in charge. We established a Latino Parent Committee that met regularly to discuss school issues, make suggestions and organize events that would allow them to showcase aspects of their background and cultures. With a more visible presence of Spanish-speaking families, our community of language learners felt emboldened to participate and access the school more fully, motivated by the appreciation of different cultures. English-speaking staff and families also took part in these meetings and events, facilitating open communication and cooperation. Our students today are increasingly unique, and our duty as educators is to embrace and value the diverse perspectives they bring to our schools. Our students today are increasingly unique, and our duty as educators is to embrace and value the diverse perspectives they bring to our schools. True advocacy fosters a sense of community that is attainable and necessary, with the proper efforts put in place. Advocacy in the classroom using culturally relevant materials increased student engagement and academic achievement. Advocacy in leadership led to a stronger and more supportive administration. Advocacy in the community led to a more invested group of families. I felt proud of the growth we made in these areas. With involvement from many groups on multiple levels, we laid the groundwork for a successful and inclusive school environment that has continued to grow and address the needs of ELL students. This collection will help students understand immigration and identity. These resources give you ideas for parent and family engagement. Sara Howell is a former ESL teacher and currently serves as one of Participate’s education strategists. You can connect with her on Twitter @sararileyhowell.